Yesterday was a big day for Patrick Dawson and his co-workers. As technical director on World of Warcraft, Dawson played an integral role in launching the long-running MMO's Battle for Azeroth expansion, which sends players to the forgotten islands of Kul Tiras and the lost troll empire of Zandalar on another adventure to save the world and bring glory to their respective factions. Years of work went into making the content millions of players saw for the first time yesterday. But while Blizzard will devote plenty of resources to bug fixes and community support as players flood into Azeroth for the game's seventh expansion, many members of the Blizzard development team are already looking to the eighth. "From the technical end, we usually start preparing for an expansion over two years in advance," Dawson said. "So right now we'd be starting to work on whatever the next thing is as we usher this one out the gate. We do that because it's a lot of work to support the live operation of a game like World of Warcraft. You have designers and artists who have been putting all this content in for two years, and they get one day where it goes on display for the entire world to see. From an operations standpoint and an engineering standpoint, we do everything in our power to support that moment." "World of Warcraft doesn't shy away from doing difficult things by any means"
Seven expansions going on eight is an awful lot for any video game, and as one of the biggest MMOs currently in operation, World of Warcraft remains a pioneer in many respects. Over 14 years, it has seen seven massive overhauls to its world, characters, story, gameplay mechanics, endgame and structure, all affecting millions of players interacting with any number of different systems across the content of all those expansions. With those expansions, the majority of the changes took place at the very top, stacking content onto what was already there to create a new endgame experience for existing players. But changes at the top ripple into the game's legacy content every time, and the more that is added, the more factors the team must consider the next time they want to make changes. "World of Warcraft doesn't shy away from doing difficult things by any means," Dawson said. "It is difficult to support legacy content. Every time you release a patch or expansion you still have to make sure Ragnaros works, and Onyxia works, because there are people that still go back and do that. So the challenge is, how do you support legacy content while developing new content? "We've gotten a little smarter about things over the years. For example, there are features that are relegated to just one expansion now. The Artifact system for Legion is a good example of that. That's been sunset. We don't need to support that going forward. And what we've done is been able to take that and learn from it, figure out what's worked and what hasn't, so we can apply that to future expansions and not have to support other features like that going forward. "However, there are a ton of features we do have to support. One of the most important things from a tech end is we always look at modernizing wherever we can. When World of Warcraft shipped it was on single realms that were completely independent from all other realms. Now we're on a much more cloud-based infrastructure, which didn't exist in 2004 and is now the industry standard. We've modernized our game to make use of that, so we have a lot more resources we can share between different realms and a lot more connectivity we can provide to our players in their gameplay experience. "You can't expect any group of a few hundred people to hit every piece of content that's ever been developed over the past 15 years"
"We're constantly looking for ways to modernize so we don't have to have it be so painful to support legacy content." A few major components of that modernization came as a part of the preparation for Battle for Azeroth's launch. The game underwent a "stat squish" for the second time in its history, in a move to address numbers visible to players that had grown larger and more unwieldy with each new expansion. The change compressed things like item levels, health pools, damage, player stats and other numbers into smaller, more manageable quantities. For example, at the end of the Legion expansion, players were doing damage in the hundreds of thousands or even millions. Now, players might see thousands or tens of thousands at max level, but would still be doing the same percentage of damage to their enemies in relation to health. The second was the introduction of scaling to the world. Zones, quests, and items across the game once had set recommended levels, and rewarded gear of a certain power level that was unwearable to those too weak for it, and pointless to those too strong. Though the entire game isn't scaled like some MMOs - The Elder Scrolls Online, for example - most areas now accommodate players of a wider range of levels and award appropriate gear, "scaling" to fit an individual's current needs. Blizzard pioneered its level scaling within the ten levels of Legion's content expansion, but unleashing this particular "modernization" on all the previous content was a massive challenge. For a few weeks, the scaling didn't play well with the stat squish, causing frustration among players struggling to level characters in preparation for Battle for Azeroth. But, thanks to other modernizations released several expansions ago, Dawson and the Blizzard team were able to tackle the problem without massive disruptions to the game. "The biggest struggle of overhauls like item scaling is being able to exhaustively test it," he said. "You can't expect any group of a few hundred people to go in and hit every piece of content that's ever been developed over the past 15 years of World of Warcraft. That is difficult and challenging to do. What we did was listen to a lot of feedback from the PTR, what those changes looked like there. "The community is a great resource for helping us understand what we missed, and we were able to develop technology to be agile about fixing the problems very quickly in a live environment when we did come across them. We did have a few hiccups when we launched the patch in terms of scaling issues, but a lot of those were addressed rather quickly and that's due to the technology we've developed to hot-fix our servers and almost anything in the game without down-time." "We recognize that we're not giving new players as good an experience as we can, and we do want to focus on how to make that experience better"
Though systems like scaling and multiple stat squishes are able to smooth some of Blizzard's age lines, one major wrinkle stands out, especially for new players: the leveling experience. Though scaling dungeons and allowing players to make a broader array of choices regarding what content they play on the road to level 110 has improved matters somewhat, new players starting at level one still face something like 30, 40 or even 50 hours of play before reaching max level content. Much of that is through the game's older, less attractive zones and may incorporate disjointed bits and pieces of story from multiple expansions. It's a problem, Dawson says, and Blizzard still hasn't quite landed on a perfect solution. "I think [the levelling experience] is a pretty hotly debated topic internally, about how to handle that," he said. "I think we recognize that we're not giving new players as good an experience as we can, and we do want to focus on how to make that experience better. There's 15 years of content that people should have the option to do if they want to, but we also want the ability for players to play with their friends quickly. That's why we developed things like the boost [which automatically raises one character to an appropriate level for the current expansion], which you get if you purchase the game itself. The scaling tech was also a way to help us do that, and you can sort of choose your own path through expansions and story content. "We've been addressing the problem over time. We're trying to find out what works and what our players enjoy, especially our new players, and learn from that until we get it right." 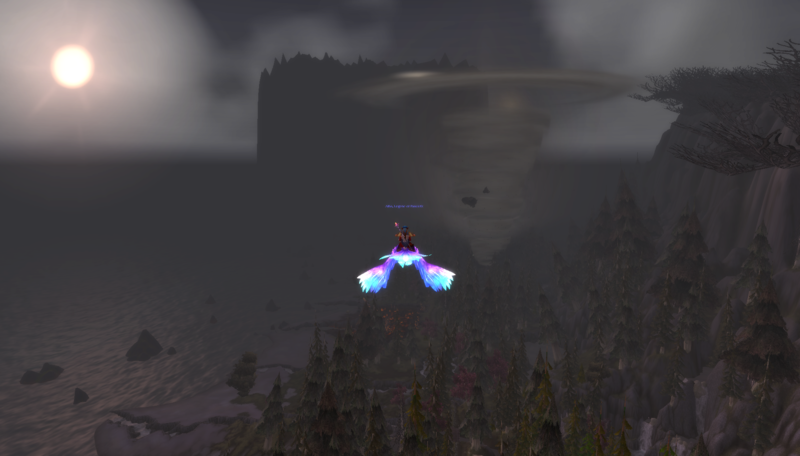 Blizzard did attempt to address the visible age of its "vanilla" world once, during its Cataclysm expansion. Cataclysm saw the original continents of Kalimdor and the Eastern Kingdoms torn apart by the dragon Deathwing, allowing the team the chance to give both visible and story-related retouches to older zones. I asked Dawson if that type of expansion was something Blizzard would consider again, and he said that while it wasn't ruled out, it wouldn't be done just for the sake of overhauling the world. It would have to make sense with the story the team wanted to tell. "Cataclysm did allow us to retouch up a lot of content that was created in 2004 that didn't follow a lot of the tenets for what we think is a positive questing experience," Dawson said. "It did do that, but it was also an opportunity to tell the story of Deathwing. He is the Destroyer of Worlds, so it makes sense to revisit the world he has destroyed. If we had another situation where we would tell a similar story, revisiting the world makes a lot of sense. 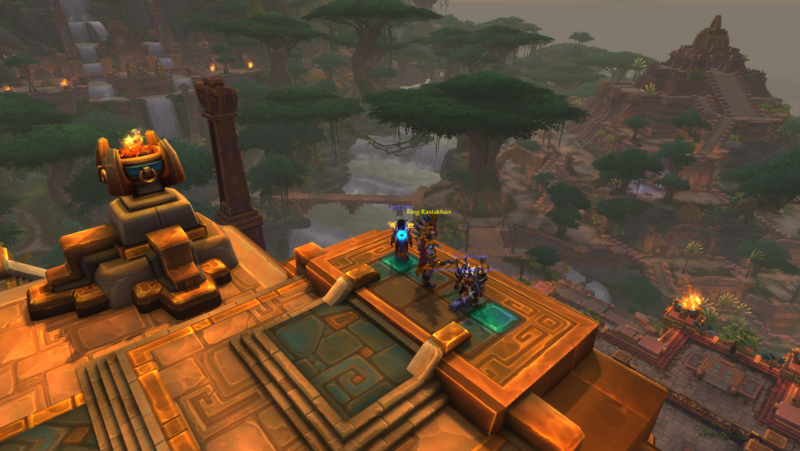 "World of Warcraft hasn't existed on any specific infrastructure for years"
"There is a lot of story to tell, and if you come in as a new player and want to do it all it can feel overwhelming and slightly disorienting. That is something we want to address, but the question is, what is the best and healthiest way to do that? I don't think today we have an expectation that every player should go through all the story. But I do think it's something we want to continue to look at and get better at in terms of making the levelling experience enjoyable and story-rich, while also allowing past stories to be told. We don't have an answer for that today, but that's something we'd like to look at." It's understandable to look at World of Warcraft as a whole and see the places it shows its age, especially when compared to shinier, newer MMOs like Guild Wars 2, The Elder Scrolls: Online, or any number of others that support more active combat styles or different ways of interacting with the world. Dawson says that Blizzard's developers are all gamers and do play other MMOs, but they aren't looking to their competitors for guidance on what to do next. "When we sit down and talk about where we want to take the technology, we first decide what's going to work for World of Warcraft, what we want to do for our players and our game," he said. "We come up with ideas and brainstorm: if we could do anything we wanted, what would we do? And surprisingly, we do those crazy things. Coming up with wacky ideas has served us quite well." And it has. Few other MMOs have been able to touch World of Warcraft's continued success - certainly not in the West - though without specific subscriber numbers for the last several years it's impossible to tell for sure. But Dawson doesn't see World of Warcraft's power petering out any time soon, something he attributes at least in part to the game's flexibility over time. 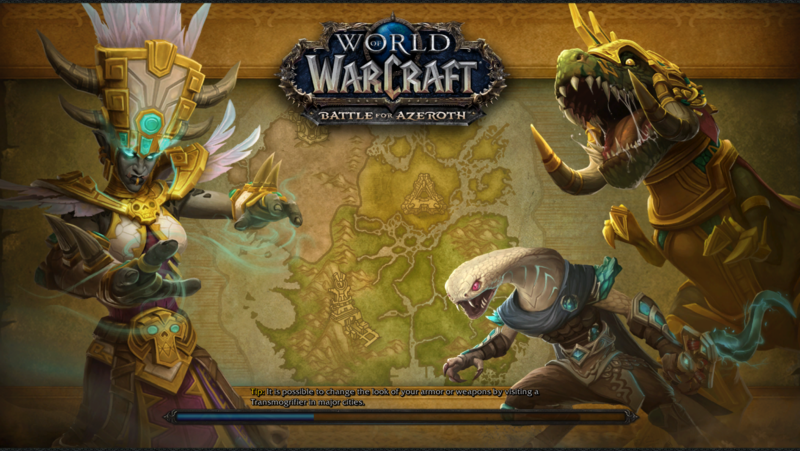 "World of Warcraft hasn't existed on any specific infrastructure for years. What we shipped on looks nothing like what we have. Our first big pivot point was right around Lich King; we added in cross-server instances, which wasn't a thing that existed prior to that. That also came alongside our Looking for Group tool, which was our first chance to connect players. Our second big revamp was the cross-realm zone technology, which brought us more into the cloud space of having to pull resources and have a more connected realm for everyone to participate in. "We see tremendous amounts of people coming back every expansion, and that's something we want to not just support, but grow"
"We don't tie ourselves to one specific infrastructure. We all know what WoW looks like right now from a technology standpoint, internally, but what it's going to look like in a few years depends on what the needs of the game are and what has happened in the world in terms of technology innovations that we might be able to leverage as well." So those "wacky ideas" Dawson mentioned earlier? They're all possible from a technical standpoint, it's just a question of time, money, and if it's right for the game and the players. When I asked him if the older infrastructure of the game was an inhibiting factor to adding new features or gameplay, Dawson was adamant that anything was possible, just not always sensible. "We can do anything we want, it's just a matter of how long it takes," he said. "The compounding factor is how difficult that is in terms of time. Everything's a trade-off. We want to do this new feature, or refactor this old system, but is there a way we can find to get both out of this by doing something more efficient or making different choices? Really, it's a big collaboration between engineering, art and design to figure out what's the right thing for our players. That's the first thing we think of, then we make our choices based on what we want to develop or refactor based on what would be the best thing for our community." "There are things that are harder to do in our system, and things that are easier. The technical difficulty gauge weighs in on the design choice as well. If something is going to take five years to develop and we don't want to wait five years for players to get something in their hands, we may make a different decision. But overall, our goal is for technology not to be the limiting factor for what we do in the game. "In terms of the future, who knows? World of Warcraft is a very strong game. We see tremendous amounts of people coming back every expansion to enjoy what we've created, and that's something we want to not just support, but grow. I'm really excited for what we can do with the current technology for World of Warcraft to support our community."